Orchids are usually potted in loose, coarse fir bark mixed with other organic plant things such as sphagnum peat and moss. These materials provide rapid drainage and beneficial root aeration needed required by any orchid. But, over time, these organic materials break down not being able to supply the orchid with sufficient nutrition. This way, air won’t be able to ventilate orchid’s roots, creating the perfect environment for fungus development which will lead to root rot. 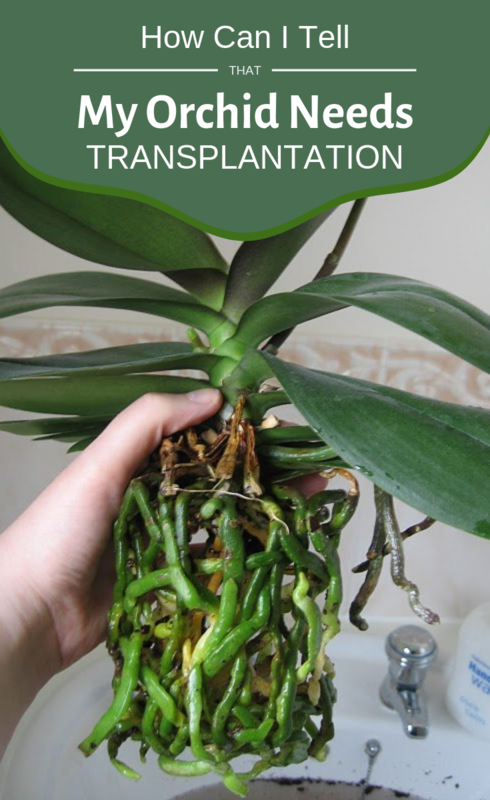 To prevent this from happening, transplantation needs to be done, and the following lines are the perfect clues which indicate that is time to re-pot your orchid. When roots of considerable lengths appear over the edges of the pot, it means that the plant needs a larger pot. If the plant has triggered the blooming process, with a growing floral stem, changing the pot will be canceled until the blooming flowers wither and fall. If the plant is not in the flowering process, the pot can be changed. Remove all diseased roots (usually those soft, brownish roots). Gather the roots and place them in pots, oriented downwards. The pot is filled with orchid substrate (coniferous bark) soaked in water. Careful! The base of the leaves shouldn’t be covered with the substrate. That would cause plant rot. The regular watering program will be resumed after a week. 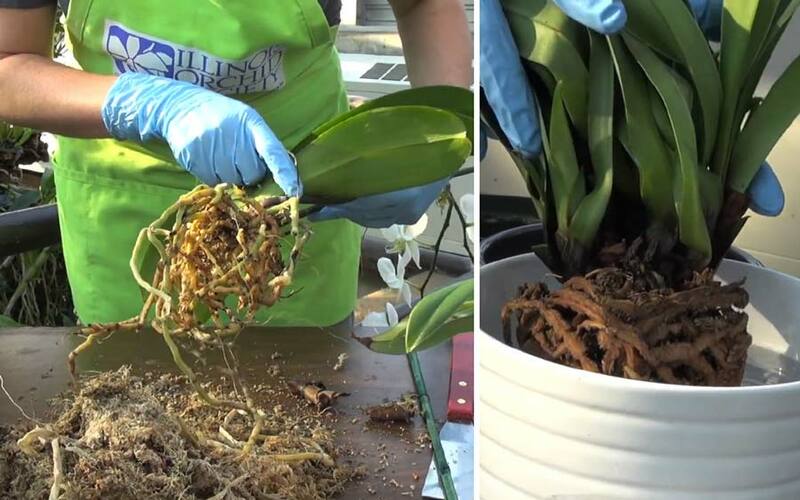 As a rule, orchid transplantation is done once every two years. Note: These indications aim, especially, epiphytic orchids.